Choosing a CRM, let alone understanding how to implement it properly, can be daunting. Here, we’ll take a deeper look at Salesforce for nonprofits with a little help from some experts in the field. Salesforce, which Forbes has rated as the most innovative company in the world multiple years in a row. Their nonprofit arm, the Salesforce Foundation, donates and offers discounts on software for nonprofit organizations, among many other activities. In this round of Ask the Experts we’ll talk to Rob Jordan and Tal Frankfurt, both of whom have worked in nonprofit organizations and as Salesforce consultants for nonprofit organizations. Rob Jordan is the CEO and Founder of Idealist Consulting (@IdealistCons). The vision for Idealist Consulting was inspired by his experiences living abroad, first as a Peace Corps Business Development Volunteer in the Ukraine and then as a director for a nonprofit organization in Costa Rica. Idealist Consulting provides progressive and innovative Salesforce implementations for nonprofits, business and government. Tal Frankfurt is the Founder and CEO of Cloud for Good (@cloud4good), a leading Salesforce implementation firm that helps nonprofit and educational organizations to create and implement strategic Salesforce solutions. He’s also a Salesforce MVP and the leader of the Memphis nonprofit user group. 1. Why did you choose Salesforce as your company’s CRM of choice? Tal: Prior to founding Cloud for Good I was the Director of Resource Development for a nonprofit organization that worked with at-risk immigrant youth. I was looking for tools to better manage our donors, participants, and volunteers. It was through this experience that I learned about Salesforce. The adoption of Salesforce into my everyday work was what sparked the inception of Cloud for Good. Rob: There are many reasons for our choice to utilize Salesforce. Simply put, it was better, faster and cheaper. Better, because we could measure outcomes much more effectively than we could with our previous database solution. In addition, it was in the cloud so our entire staff could access from wherever they were in the world. Faster, because as we grow the platform can grow with us. We don’t have to accrue more features or functionality than we actually need. Moreover, we can facilitate changes to the architecture without having to know code. What once took 30 minutes now takes 30 seconds. Cheaper, because Salesforce extended Idealist Consulting a discount similar to that of what they offer nonprofits. They did this because of our BCorp certification as well as our deep engagement with the nonprofit community. 2. What is the #1 reason nonprofits should use a CRM or Salesforce, specifically? Tal: Salesforce makes it very easy to track every interaction anyone within your organization is having with donors, students, clients or volunteers, including: phone calls, emails, tasks, meetings, donations, jobs, and shifts. The ability to centralize all your information allows you to create an institutional memory which is extremely important for growth. Rob: I would say all the reasons I listed in the first question, but if I had to pick one, it would be “cheaper.” Before Salesforce, NPOs could not afford enterprise level databases. The Salesforce 1/1/1 program now gives them the ability to leverage features and benefits that were once only available to large multinational companies. They changed the landscape. 3. What is one thing most nonprofits are NOT doing with a CRM that they should be? Rob: That’s easy…measuring outcomes of their respective mission. 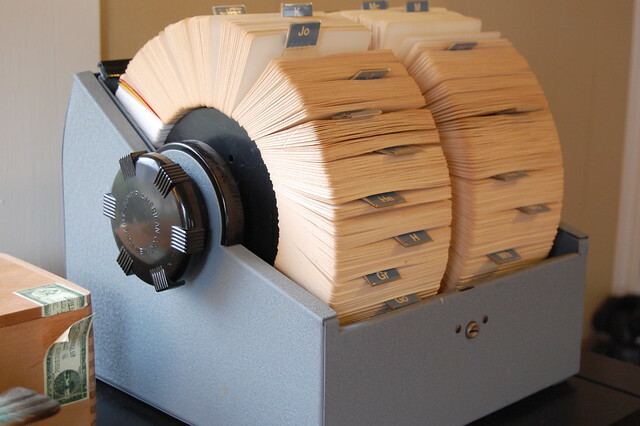 More often than not, an NPO uses their CRM as a fancy Rolodex (for you young kids that is the first CRM ever). If you don’t know what your key strategic indicators are (i.e. what makes your organization successful) and measure the accomplishment of these goals through your CRM, you are not getting the most out of your CRM. Tal: Many organizations fail to understand that technology itself will not solve all their organization’s pain points. Nonprofit organizations can drive a positive return on investment from a CRM implementation through a planned CRM approach that is constantly evaluated. An assessment of the organization’s CRM strategy, staffing, processes, and technology can help organizations identify the relevant approach, resources, and tools to be put in place to champion a successful implementation. The value is achieving consistent processes, cross departmental coordination, and even driving organizational innovation. 4. What is your favorite third party app for Salesforce? Tal: I have a few great applications that I use internally daily at Cloud for Good that help me become more productive. Specifically: FormAssembly helps us to collect inquiries and feedback from our clients. Cirrus Insight helps me bring my valuable data into Gmail, and even create proposals directly from my Gmail account. For me, their integration with Conga Composer is a match made in heaven. Rob: I was once told the best application is the one that is most simple. These are often the least noticed. The most useful application we deploy would be Conga Mailmerge or Cirrus Insight (for Gmail integration) — after Classy of course. 5. If a nonprofit is looking to hire a Salesforce consultant, what is one question they must ask before making their decision? Rob: You know, I am amazed how many NPOs do not understand the need to consider three fundamental things: cost, experience, and availability. To be honest, you need all three, yet most NPOs focus on the first. The problem with this is that one consulting firm that bills at $50 an hour may take six hours to do what a firm that bills at $200 may take one hour to do. With that in mind, if you had only one question to ask I would say experience is key. How long have they been doing the work they do? Do they have any awards for their work? How many projects have they facilitated? What is their smallest client? What is their biggest client? Can they provide testimonials for their work? Tal: Are they Salesforce experts who can speak fluent nonprofit, and can they understand and translate my needs into technology?